Here’s what’s happening in the world of television for Monday, February 12. All times are Eastern. DC’s Legends Of Tomorrow (The CW, 8 p.m.): The CW’s time-traveling superhero team has been off the air since December, but it’s back tonight with a big, fiery flourish courtesy of supernatural sleuth John Constantine. 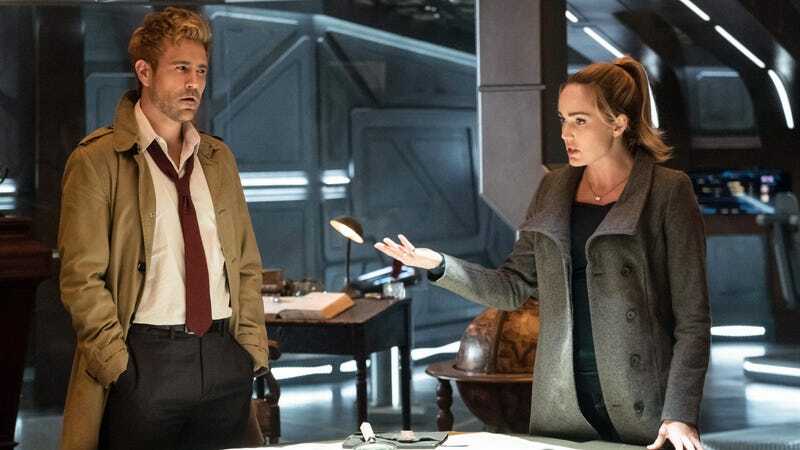 Since his eponymous NBC series got the boot, Constantine has been bumming around the Arrowverse, previously showing up in Star City to restore Sara Lance’s soul. Now he’s calling upon White Canary to return that favor, hitching a ride on the Waverider for a mysterious trip to the present day, and Oliver Sava is riding shotgun for the review. Atomic Homefront (HBO, 8 p.m.): More heroes combating unexpected threats in the here and now: Director Rebecca Cammisa profiles the mothers in the St. Louis suburbs who banded together to protect their community from the nuclear waste that has been deposited there.